The sport is often confused with rope-walking. With rope walking, the rope is narrow and circular. It has been around for centuries. A Slackline is a flat webbing. It gets a sag or a slack when you walk on it, giving it its name. The two are also quite different in styles, balancing techniques and moves. In the 1960s, climbers in the Yosemite would spend their spare time balancing on parking lot chains. These chains weren’t similar to ropes or modern-day slackline. But they did show a characteristic sag, giving them the name ‘Slackchain’. In 1979, Adam Grosowsky, a climber from Southern Illinois really took to the sport after coming across a photo of circus performers performing stunts on a tightrope. He pursued it most passionately and even managed to replicate a part of the original circus stun- by accomplishing a handstand on a 1-inch webbing. Adam carried his obsession to his College, where he met Jeff Ellington & Brooke Sandahl, both climbers. Adam set up a Highwire on campus and the trio began practising various techniques and stunts on it. They had quite an audience too! In 1981, Grosowsky & Ellington performed without a leash on a Highline 25 feet above a concrete floor. Their passion spread within the West Coast rock climbing community. In 1983, Scott Balcom and Chris Carpenter were inspired by Adam and Jeff to walk The Arches (A line rigged under the California SR 134 Freeway Bridge). This was the first recorded Highline walk on nylon webbing. The two put on several more performances which helped popularize the sport. Through the 90s and 2000’s, the sport spread across the world- Europe and the US mostly. Around 2007, companies such as Gibbon, Slackline Industries, came into play and began manufacturing slacklining kits for public purchase. Who is that guy with Madonna? It’s someone by the name of Andy Lewis, the most well-known figure in modern-day tricklining and competitive slacklining. He has been the overall World Tricklining Champion since 2008. In 2012, he put up an incredible performance during Madonna’s Super Bowl XLVI Halftime Show, watched by over 114 million people. 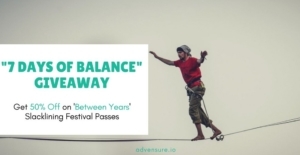 Improves Balance: Slacklining is all about balance. It takes supreme balance to hold yourself up on a wobbling webbing. 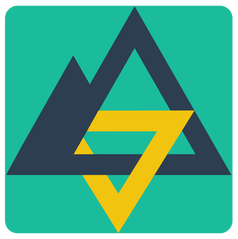 Balance is beneficial in all aspects of life, particularly during older ages. Improves Posture: Bad posture not only looks bad, but can also contribute to back and neck issues. 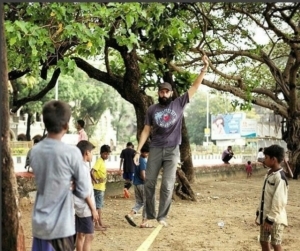 Slacklining improves postural control and thus makes you sit and stand just the right amount of straight. Brain Exercise: A 2011 Study found that the concentration and focus required during slacklining helps enhance the functioning of the Hippocampus- responsible for memory and navigation. 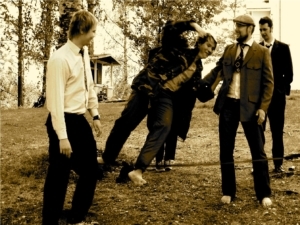 Employee Performance: Slacklining can be a great idea for a team outing. The balance, concentration and focus can help improve performance. Checkout this list of team building activities and be sure to look into our Corporate Packages. 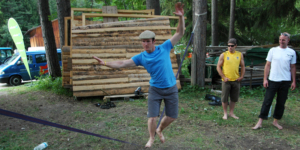 Like we’ve seen, the history of Slacklining is quite short and is still being written. So get on the line and make history! 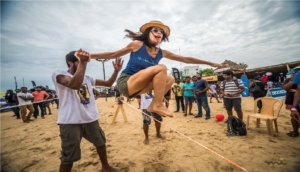 Turns out, the opportunity for this is right round the corner- Between Years, India’s biggest Slacklining Festival is back for its second version. It will be held from 29th Dec to 1st Jan in Lonavala. Day, Weekend, and Season Passes are up for grabs! GET 50% OFF – GIVEAWAY TIME!!! You can also learn/ try slacklining at the amazing Slackline Park and opt for a one day or weekend course!